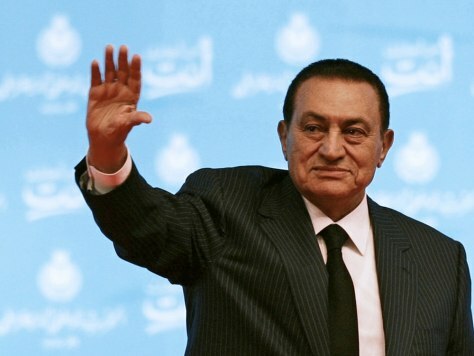 Jump to video Where are Mubarak’s billions? Egypt's President Hosni Mubarak waves during the opening session of the annual conference of the National Democratic Party (NDP) in Cairo in this October 31, 2009 file photo. Anti-corruption campaigners pressed Egypt's chief prosecutor for an investigation into the assets of Mubarak and his family.